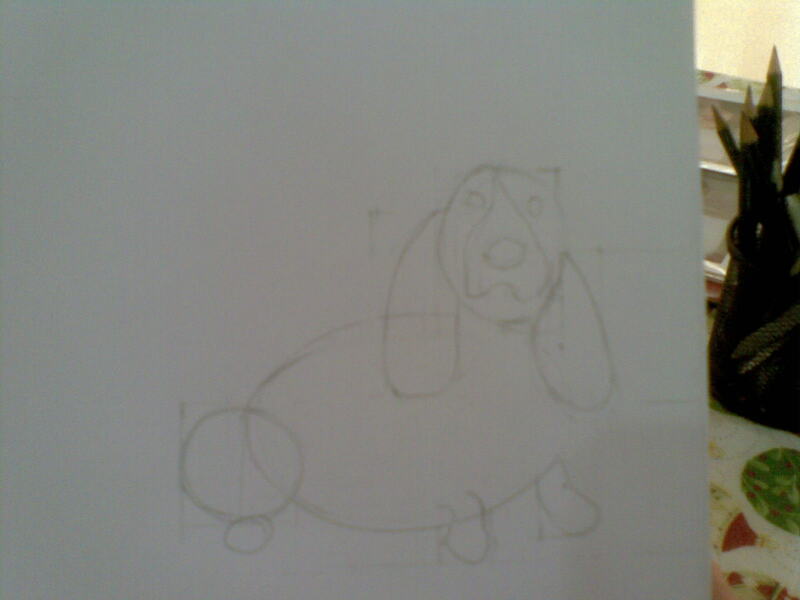 This is her drawing of a dog in basic shapes. Next week she is putting in detail like fur and shading , can’t wait ! Workshops are held every school holidays on origami, how to draw & paint, sculpture, Art & Craft activites call 0411 380 074 for futher enquiries. 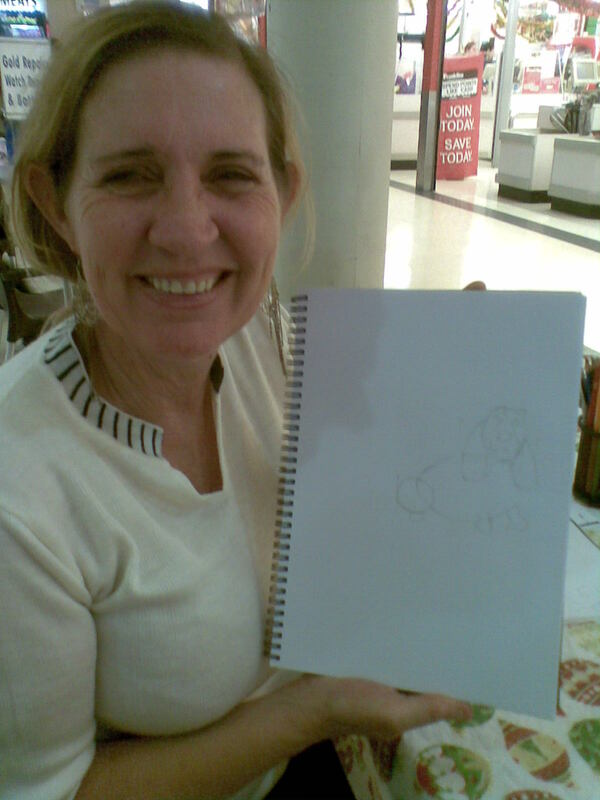 Australian Sydney based Fine Artist Cherie Vize has been teaching Art classes for over 2 years to a variety of ages and levels of beginners to advanced art students from 5 yrs and up. Giving individual attention to each of her students in a comfortable location, the student can focus & engage in the lesson , whether it be one on one tuition, or to a class of 10. 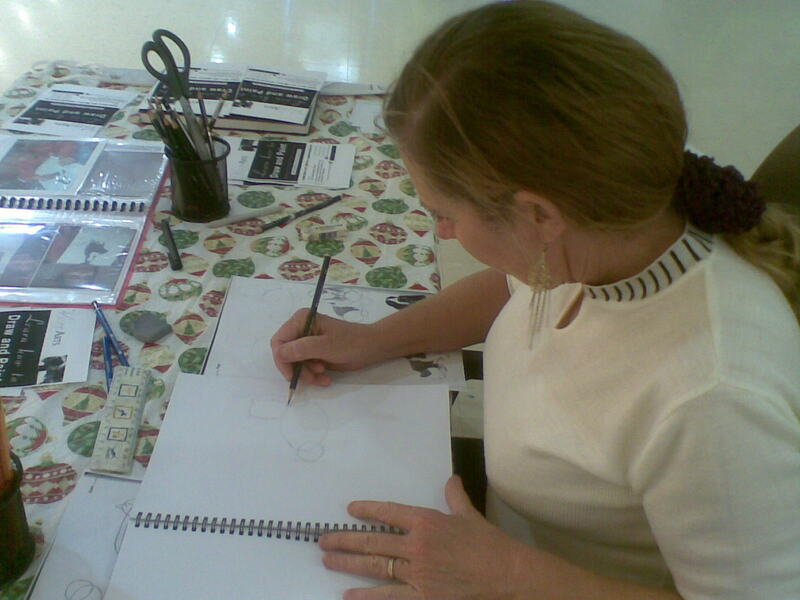 Art classes are structured specifically to a curriculum, which is followed until finished. Group demonstrations are held regularly at the beginning of class, demonstrating how to use a variety of mediums, to ensure students understand thoroughly what is being instructed. Excellent results are achieved each and every lesson benifiting the student , bringing out fine results in their work and a broader understanding of each medium. Classes include Cartooning , Wildlife , Pet portraits, Landscape, Watercolor , Life Drawing/ Life painting , Botanical, Pastel , and Plein-air painting,Portraiture, impressionism, cubism, surrealism, cartooning , illustration art, abstract art in mixed media. 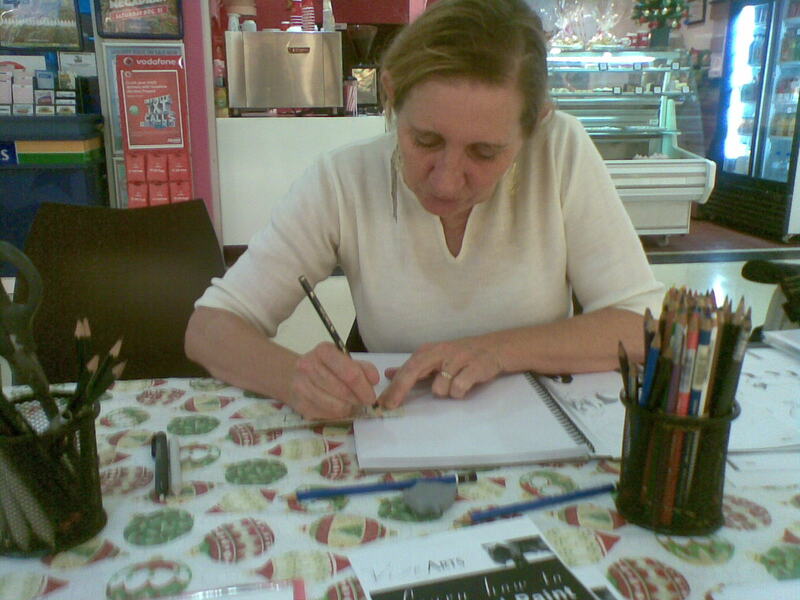 Learn how to draw & paint with Qualified Art Tutor Cherie Vize. Teaching you in oils,acrylics,watercolor,color pencil,pen & wash , graphite & mixed media. Location : 1024 Horsley Drive, Wetherill park, inside the shopping mall infront of Franklins.